Summer is here in full swing! Where I live, the kids’ last day of school was last Friday (I know, super late! ), life is hopping at the pool with parties and other events, and I’m starting to get ready for my annual pilgrimage to the beach. I’m also going out of town for two family parties in the coming weeks. There’s no rest for the weary – which is ironic because summer is supposed to be all about relaxing! With summer being what it is, it’s really easy to let our health habits slide a little bit. I know I already have! Remember my exultation about my 4-pound weight loss a few weeks back? Well, I think those 4 pounds have already come back (and then some, I’m sad to say). I’ve slacked a little on my walking and other exercise and on my water consumption, which I know is so important. One way I’m getting back on track with my health goals this summer – and this is a really easy way to do just that – is through drinking healthy, delicious smoothies. In fact, smoothies are so beneficial that starting next week I’m hosting a FREE 10-Day Fertility Smoothie Challenge! The challenge is easy. All you have to do is make and drink a delicious green smoothie every day for 10 days, from July 3-12. It’s not about taking anything away from your diet or lifestyle, but adding new, good things in! Smoothies are awesome. 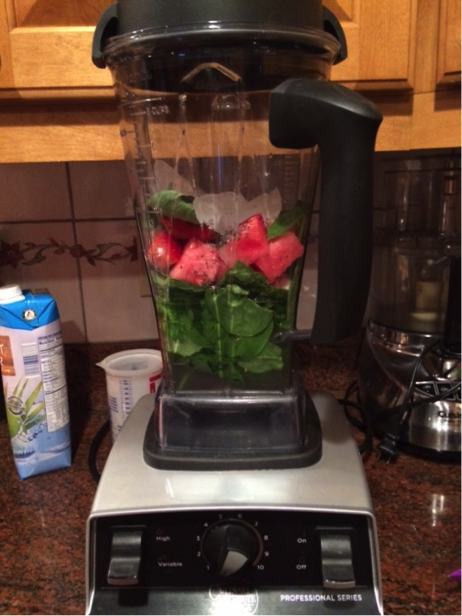 I can’t overstate why I love them, especially green smoothies or smoothies that include leafy green vegetables. They’re a great way to make sure we’re eating healthy, fertility-boosting foods, especially at this time of year when we’re eating more BBQ, pasta salad and brownies than we should. 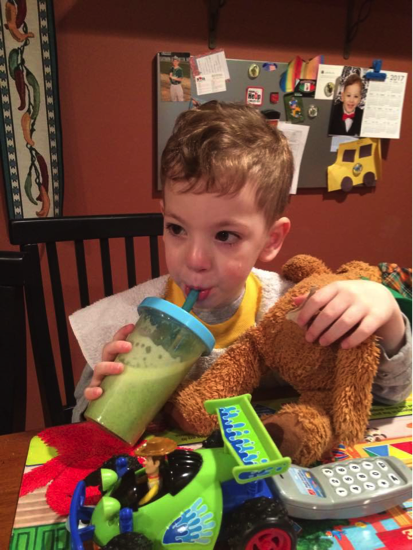 With smoothies, we’re drinking our fruits and veggies instead of eating them, so it’s a great alternative. When we eat food, it has to go through the entire digestive process, which can take up to 24 hours, before we start to reap their nutritious benefits. When we drink smoothies and juices, the nutrients are absorbed into our bloodstream in as little as 15 minutes! Wow! 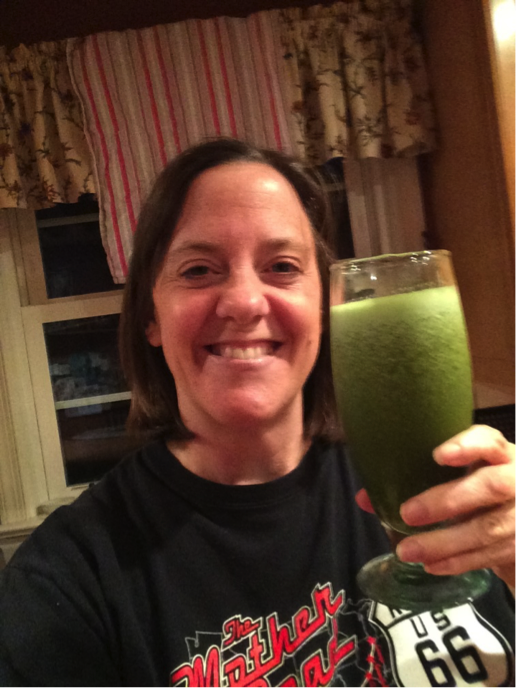 I still advocate eating fruits and veggies – simply pointing out that drinking them is another quick, easy, beneficial and tasty way of getting them as well. Smoothies are also great because you don’t need a lot of fancy cooking equipment to make them, just a blender. There are so many awesome fruits in season right now, you can go to town trying different delectable concoctions. And all you do is throw everything in the blender and push the button. Smoothies make a great healthy breakfast because you can make them quickly and grab and go. Easy peasy – I like it! I know drinking something made with spinach and kale might not sound too appealing, but trust me. The smoothies are so yummy they taste like milkshakes! My 3-year-old son adores them, asks for them and can’t get enough of drinking them! So it’s definitely worth giving smoothie drinking a try if you haven’t yet. Today I’ve got one of the smoothie recipes from the challenge for you. It’s got the quintessential summer food – watermelon! Watermelon contains lycopene which makes it especially beneficial improving sperm quality and improving male fertility – so make this one for the man in your life! This smoothie also has strawberries, which are rich in Vitamin C which promotes progesterone production and helps manage luteal phase defect. Give this one a try and let me know how you like it! And it’s not too late to sign up for the challenge – come blend with me and have fun! Directions: Put ingredients in blender in order listed. Blend up and enjoy! Here’s everything in the blender, ready for action. Here I am, ready to enjoy my Watermelon Delight! You May Like Think You’re Pregnant? What Do You Know?